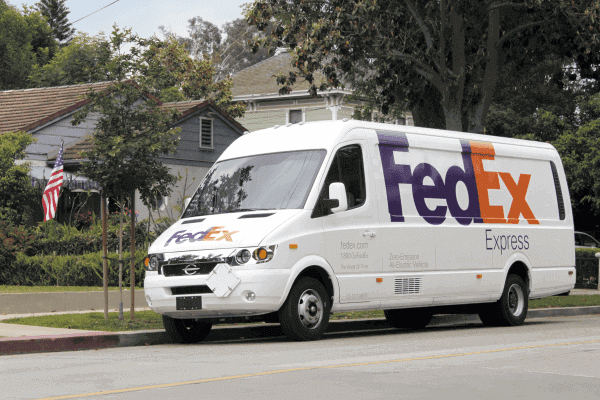 FedEx announced that it is growing its fleet by adding 1,000 Chanje V8100 electric delivery vehicles. The company is buying 100 vehicles from Chanje Energy and will be leasing remaining 900 from Ryder System, that will also render support services for the vehicles. FedEx will operate this purpose-built vehicles in California for commercial and residential pick-up and delivery services. The EVs are built by FDG in Hangzhou, China and are capable of traveling more than 150 miles on a full charge. The most extreme payload limit of the vehicle is around 6,000 pounds. The company says that EVs will help FedEx to save 2000 gallons of fuel and avoid 20 tons of emissions per vehicle every year. The organization has been utilizing all-electric vehicle as a major aspect of its pickup-and-delivery fleet since 2009. "We believe that wider adoption of alternative-fuel, electric and hybrid electric vehicles will play a key role in reducing global emissions, while diversifying and expanding renewable energy solutions."